Built in 1988, by Halter Marine Services Incorporated of Lockport, Louisiana (hull #1144) as the Chevron Richmond for the Chevron Shipping Company of San Ramon, California. 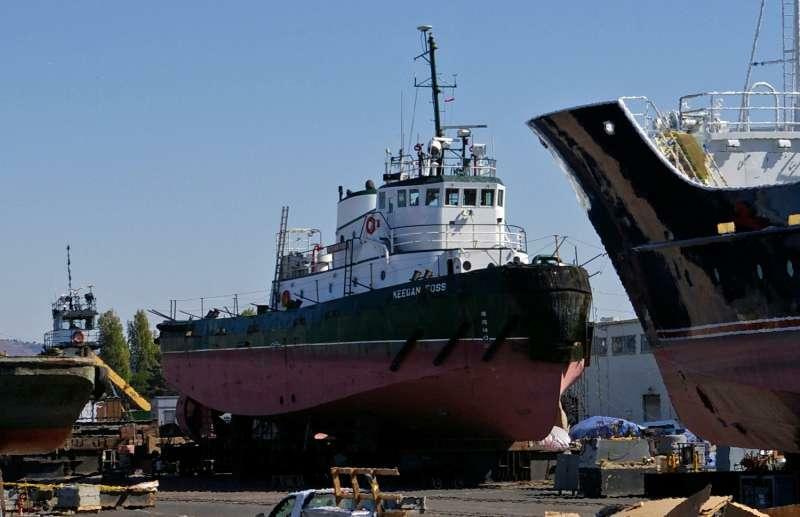 In 2004, the tug was acquired by the Foss Maritime Company of Seattle, Washington. Where she was renamed as the Keegan Foss. Powered by two, sixteen cylinder, EMD-645-E6 diesel engines. With Reintjes WAV 2240 reduction gears, at a ratio of 4.048:1. Turning two, four bladed, 99(in) by 96(in), stainless steel, fixed pitch propellers. She is a twin screw tug, rated at 3,900 horsepower. Her electrical service is provided by one 99kW Marathon generator set. Driven by a John Deere 6068T FM76 diesel engine. And one, 99kW Magna Plus generator set. Driven by a John Deere 6068T FM76 diesel engine. The tug's capacities are 49,000 gallons of fuel, 779 gallons of hydraulic oil, 1,510 gallons of lube oil, and 7,282 gallons of water. Ship Builder: HALTER MARINE INC.